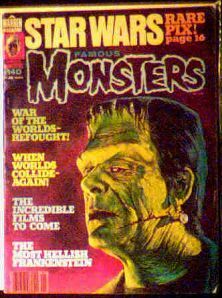 January 1978 issue of FM with Glenn Strange as the Monster on the cover. There is a small tear in the upper left corner of the back cover, otherwise near mint. The most Hellish Frankenstein mentioned on the cover is not the one pictured, but David (Darth Vader) Prowse as the monster in "Frankenstein and the Monster from Hell". Personally, I liked the Strange monster better. Website design and hosting by Sohodojo Business Services. Item 118 of 466 items displayed in viewer. 0 items in cart.